The Department for Work and Pensions (DWP) has missed its sickness absence targets for this year and will probably miss them again in 2006, the department has admitted. A report by the National Audit Office (NAO) found that department had an average sickness absence of 12.6 days per person in 2003-04. In 2002, the department agreed new targets: to reduce sickness absence to an average of 10 working days lost per member of staff by 2004 and to eight days by 2006. 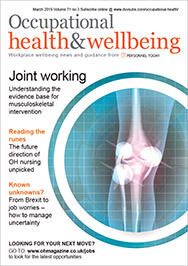 The NAO found the DWP had introduced a ‘well-being at work’ policy aimed at reducing workplace stress, and noted that good support mechanisms such as occupational health services were available. However, it said these could be used more effectively. Managers also currently lack access to timely and reliable data on absence, the report said. The DWP said it had developed a new staff information system, to be rolled out by the end of 2004, which would address these concerns. Sir John Bourn, head of the NAO, said: “Achieving better staff attendance at the Department for Work and Pensions, the largest government department, would be an important step towards improving central government efficiency.